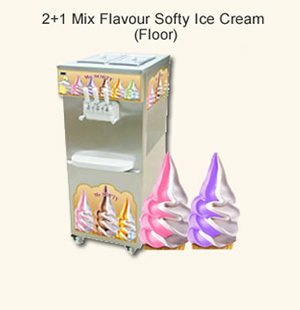 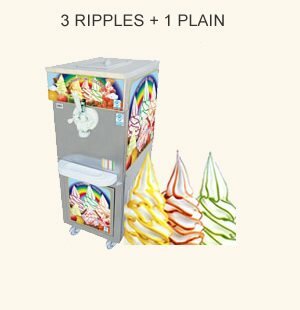 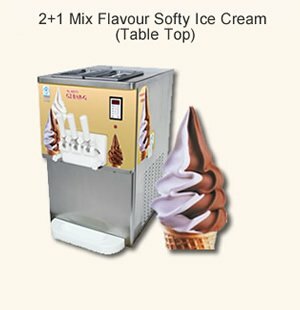 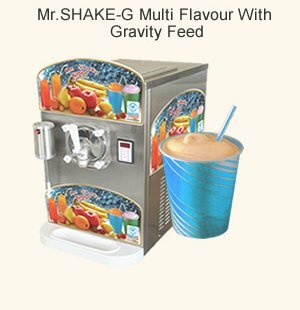 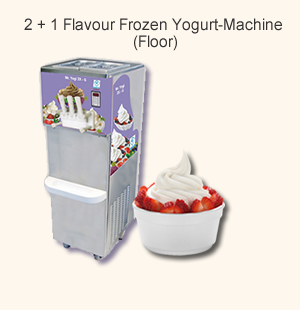 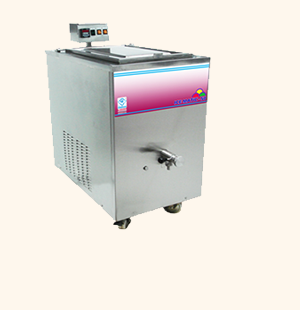 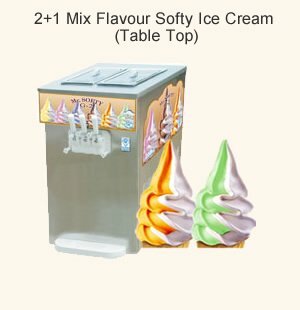 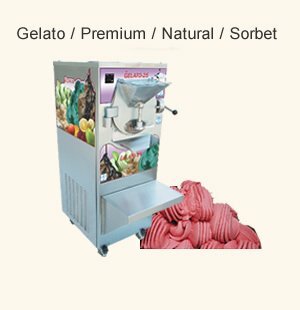 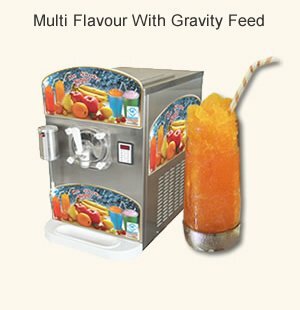 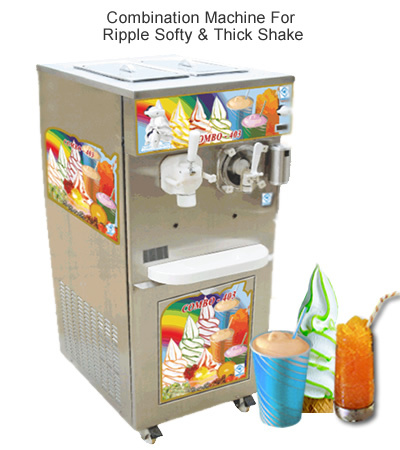 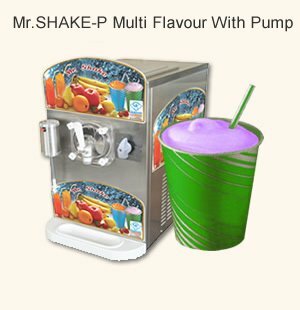 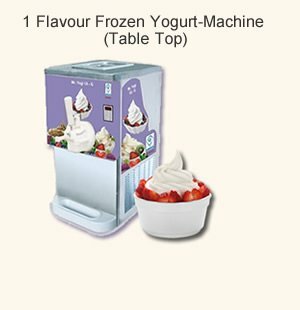 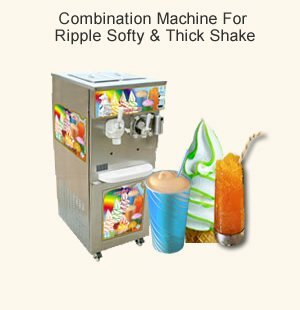 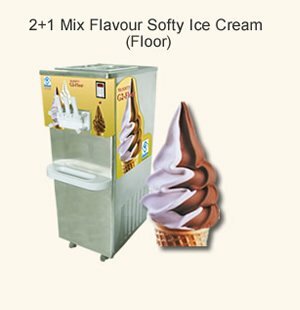 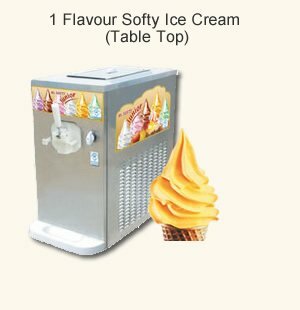 India's first combo machine gives 3 ripple and 1 plain softy ice cream & thick shake with pump (increases volume up to 80 % for softy ice cream and 70 % for thick shake). 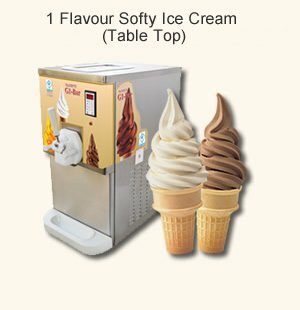 Completely electro mechanical. 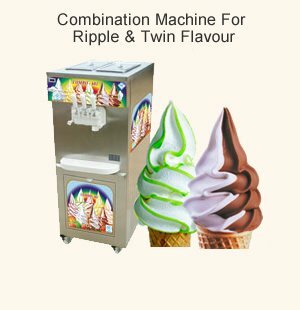 Available in 3 phase & double compressor. 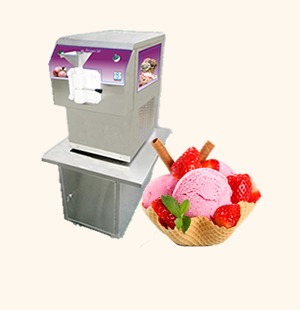 Provide gear pump for both system ensure a high overrun product. 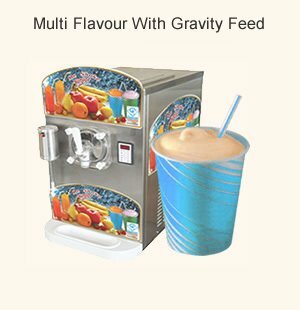 Provided with two compressors, motors and control system for both system to get the proper consistency. 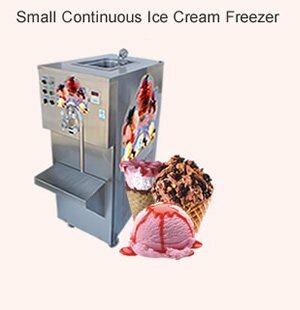 Supply Installed Power Condenser Refrigerant Dimensions m.m.